KEN YUSZKUS/Staff photo. 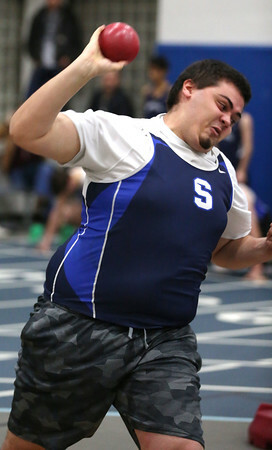 Swampscott's C J Nunez competes in the shot put at the Gloucester at Swampscott indoor track meet. 12/14/15.